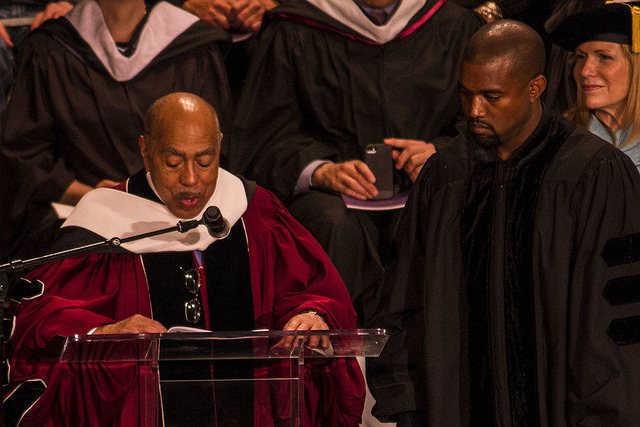 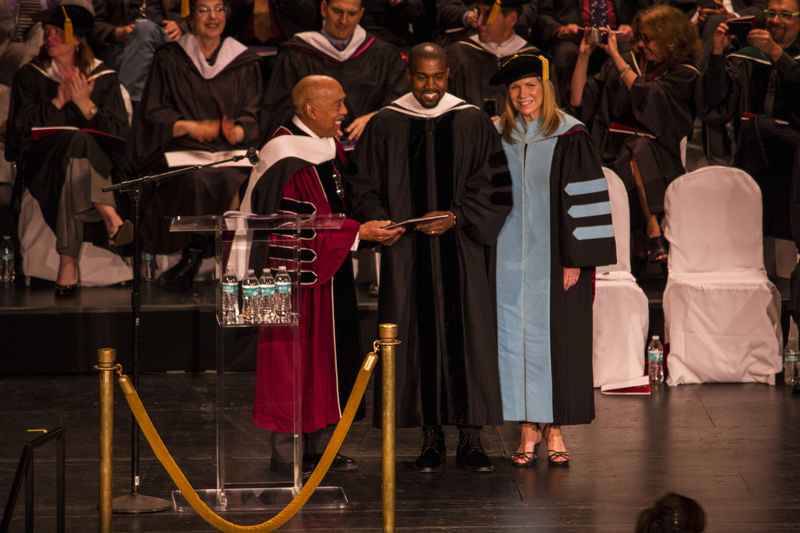 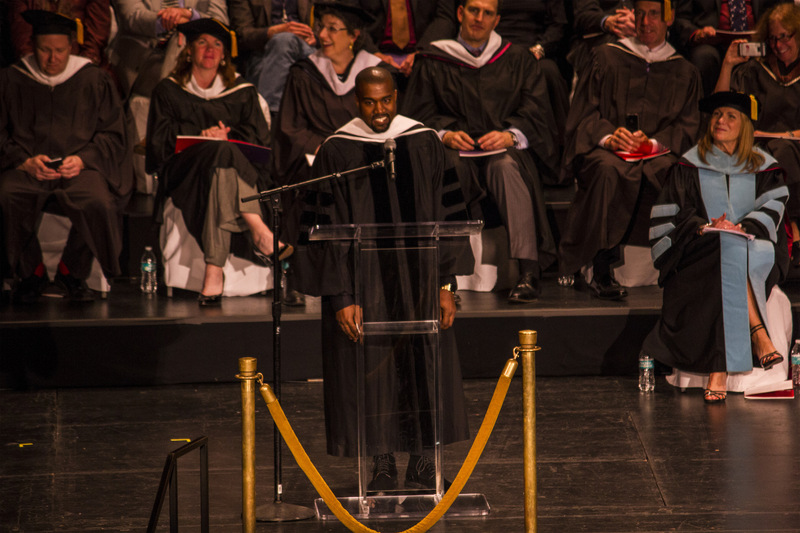 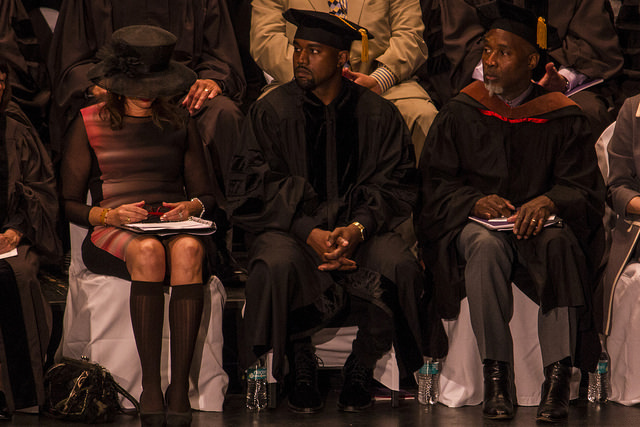 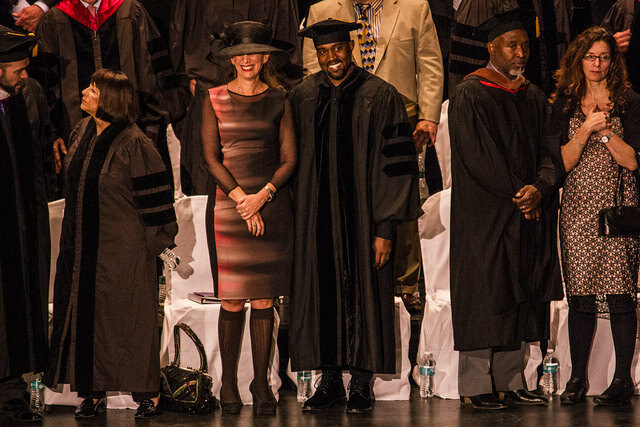 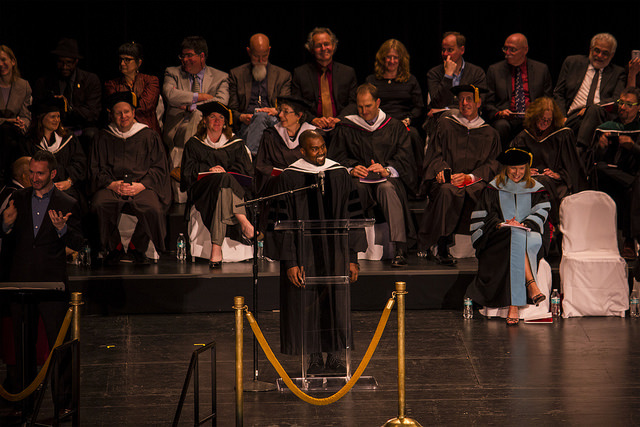 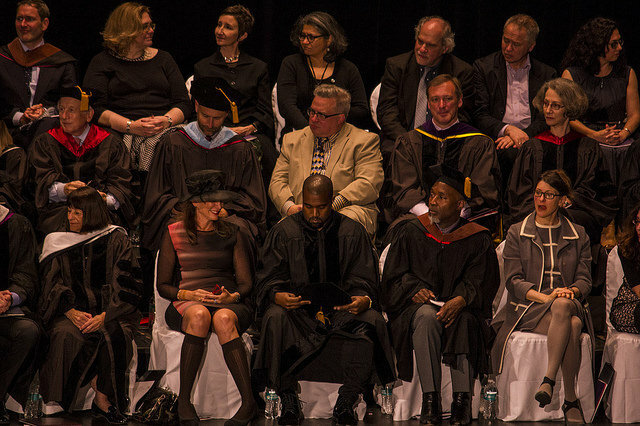 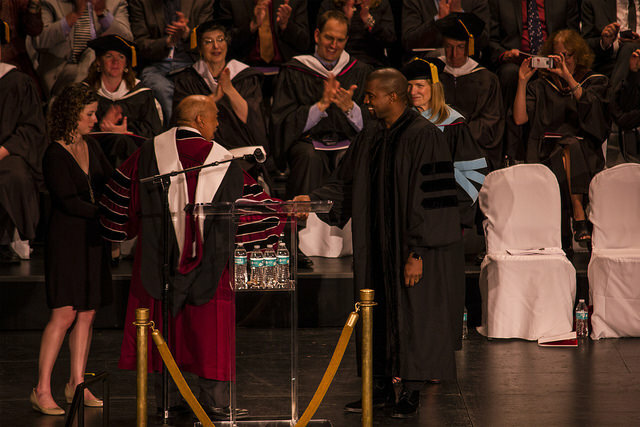 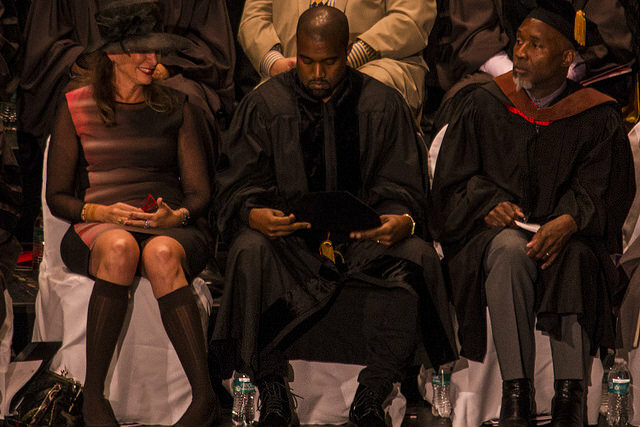 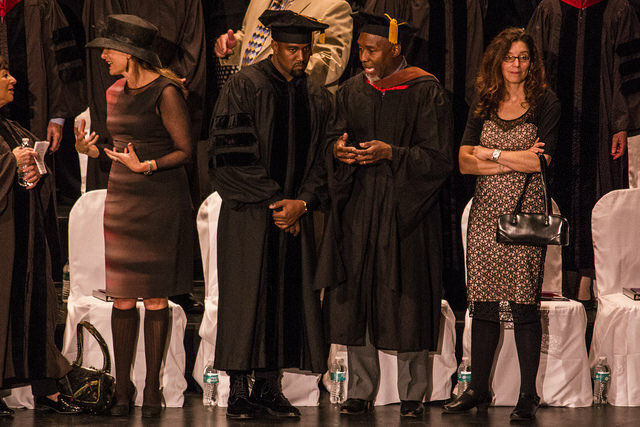 Earlier today, Kanye West received his honorary doctorate from the School of the Art Institute of Chicago. 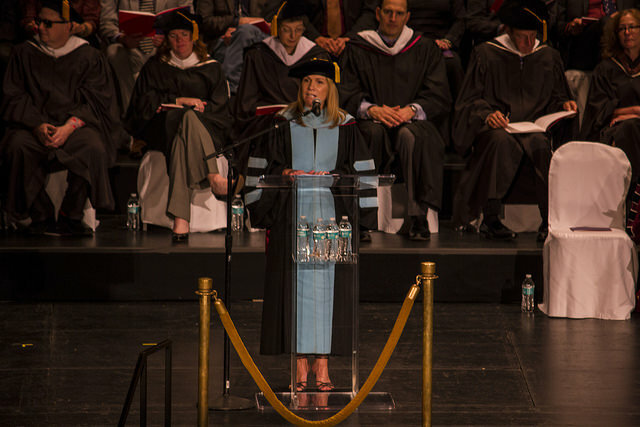 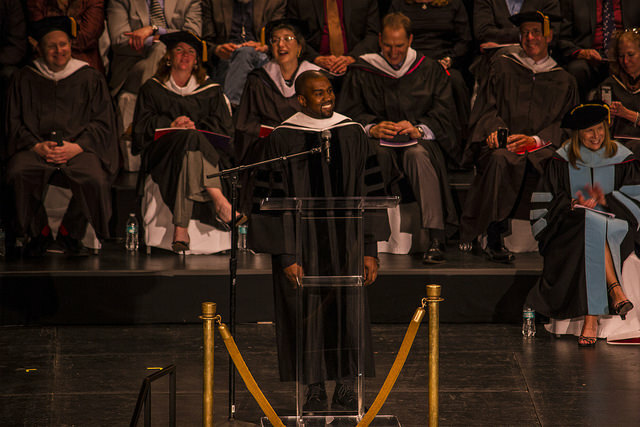 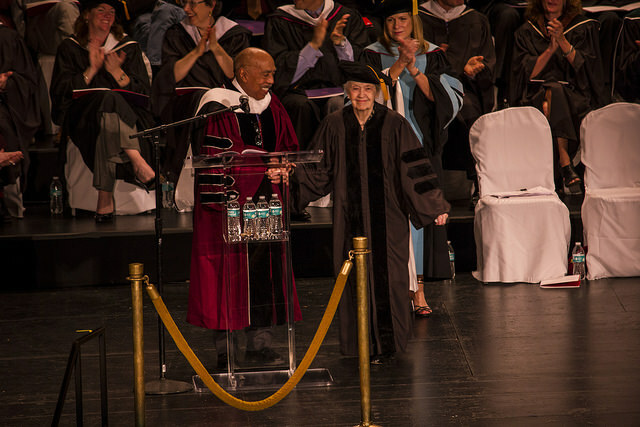 Honored for his vast contributions to the arts, through both his musical accolades and his role and influence in fashion, The College Dropout spoke to his fellow SAIC graduating class for his Graduation day. 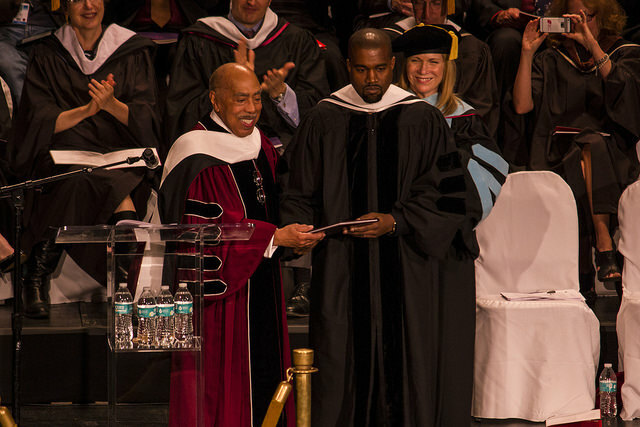 While Kanye dropped out of Chicago State University (just 13 miles south of today’s ceremony) over a decade ago, as he felt that a college education wasn’t the best ticket for his success in the music industry, his late mother, Dr. Donda West (who was a professor at Chicago State University) would have been more than proud to see her son finally walk for his graduation. 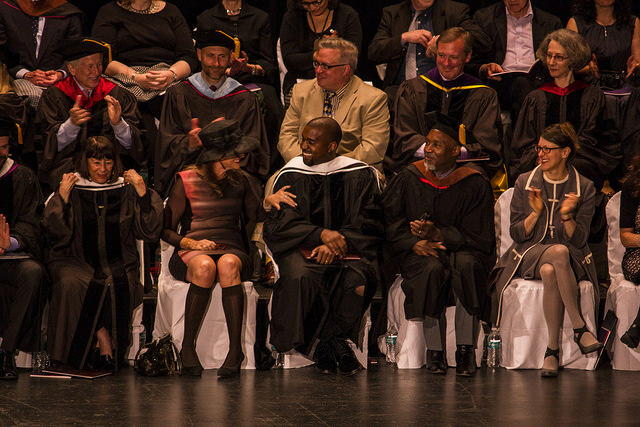 Check out our photos below, as we sent our photographer Dan Garcia to capture some of the ceremony’s best moments.